While the rest of the US is cooling down, the San Francisco weather in September is warming up. It's the warmest and sunniest month and it's one of my favorite times of the year. If you have a trip planned here this month, you are in luck. 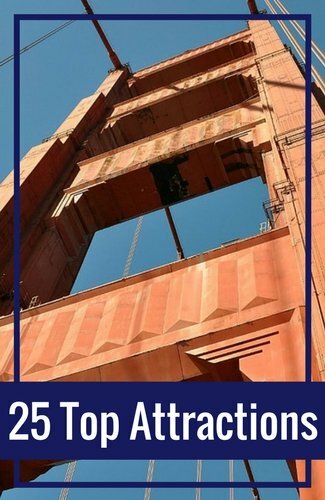 You will get to see SF at its best with warm and sunny days and cool evenings. On this page, you will find helpful details on how to prepare including more information on the weather and what to pack for your stay. I've also included some of the best things to do this month, as well as a few tips on how to save money during your visit. 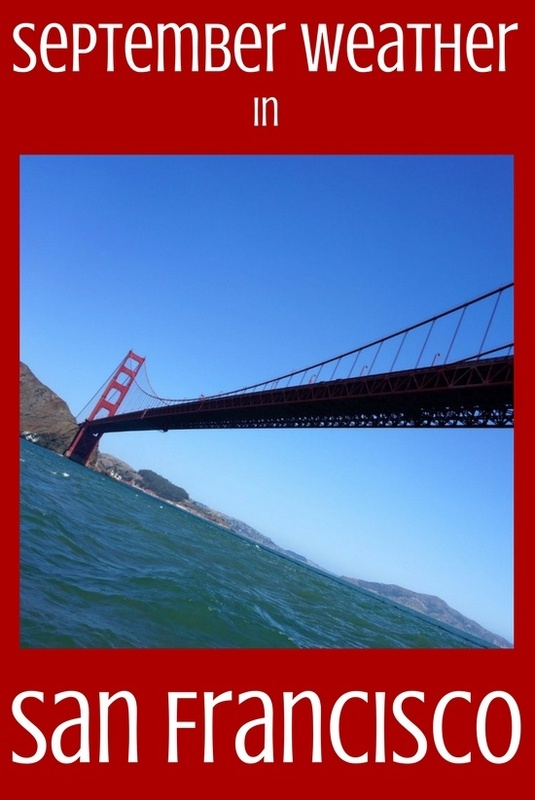 The picture above was a fun shot we took as we cruised back in under the Golden Gate Bridge at the end of a whale watching tour. This was in early in the month and it shows a typical day for the San Francisco weather in September. The days start out cool and warm up to around the mid-60s or lower 70s. The afternoons are nice and sunny. At dusk, it starts to cool down with temperatures dipping down into the mid-50s. We get very little, if any, rain this time of year. There is little fog in SF in September too. This means it will cool down at night, but you won't have overcast skies as during the summer months. We do get wind all year around. It typically isn't too windy this time of year, but it does keep the San Francisco weather in September nice and comfortable. Here are some average for us this time of year. The San Francisco weather in September offers you a chance to break out shorts or skirts during the day. I often pair them with a short sleeve shirt. I never leave home without a light jacket as some parts of the city are cooler than others. At night, I will swap out my shorts or my skirt for pants or jeans. I also switch out my sandals to closed toed shoes to keep my toes warm. I will also grab a heavier jacket or sweater as it does get cool here at night. Make sure to bring along several items that you can mix and match with layers. This will allow you to add and remove items as the temperature changes throughout the day. 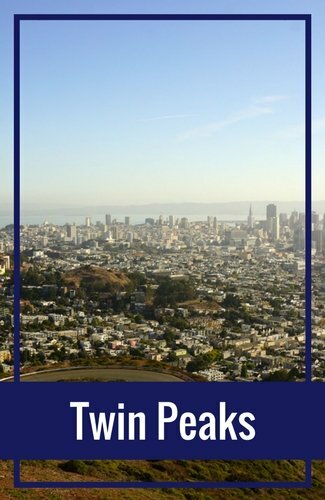 Most places in San Francisco are casual so jeans and casual tops are fine. A few higher end restaurants and dinner cruises require nicer attire. They often tell their guests if this is required since everything else here is so casual. 1. Visit a Diego Rivera fresco: We have three Diego Rivera frescos in San Francisco. All three are open to the public at designated times. They are amazing pieces and well worth your time to visit them. Find details to visit here. 2. Head out on a cruise: The San Francisco weather in September makes it the perfect time to head out on a cruise. Several leave Fisherman's Wharf every day and all of them cruise under the Golden Gate Bridge. Find details on my 5 favorites. 3. Explore Alcatraz Island: This small island is about a mile off the coast of San Francisco. It was home to a military prison which turned into a maximum security prison. Inmates such as Al Capone and Robert "The Birdman" Stroud called it home for several years. 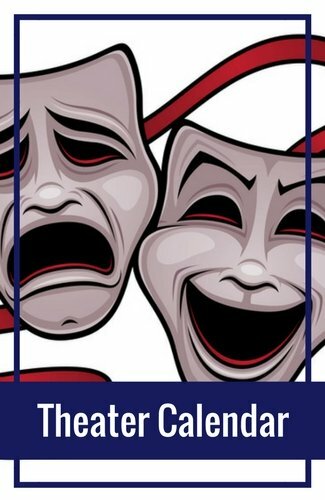 It's a must see. More about visiting and getting tickets here. 4. 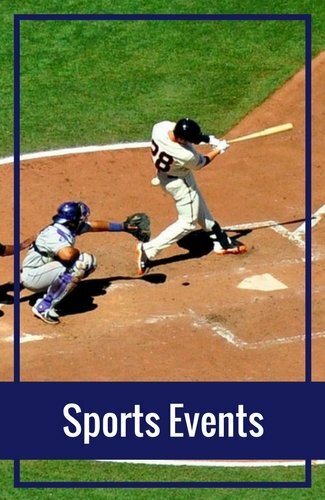 See the SF Giants in action: The SF Giants baseball team has almost a dozen games at home every September. They take on teams such as the LA Dodgers and Arizona Diamondbacks at Oracle Park (formerly AT&T Park). Get their schedule for this year here. 5. Attend the Ghirardelli Square Chocolate Festival: If you love chocolate, then this is a must for you! This annual two-day event is full of chocolate tastings and cooking demonstrations. You can also pair local wines with Ghirardelli's delicious chocolate creations. Discover details for this year's event. One of the best ways to save is to check out the great deals on Goldstar. 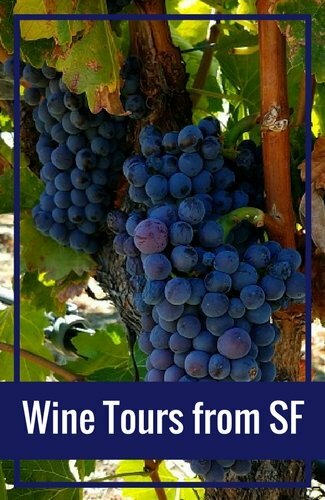 They offer deals at up to 50% off on tickets to wine tours, walking tours, cruises on the bay, theater productions, and so much more. Click the links below to learn more about these popular offers and to find other great deals for your stay. With the moderate San Francisco weather in September, you will probably end up doing quite a bit of walking. However, if you need a break, here are a few other ways to easily get around town. Buses & Cable Cars: Both our buses and cable cars offer you the chance to get from one attraction to the next with ease. They run from early in the morning to late at night. 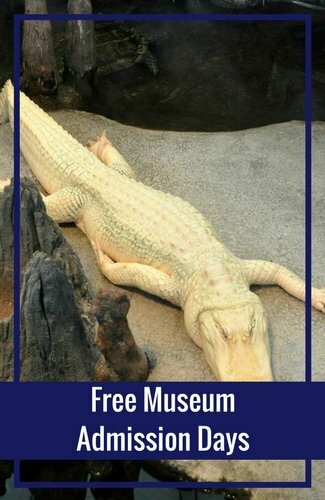 You can either pay as you board, buy a multi-day pass, or use the pass included with the CityPass discount card (which also includes admission to some of our top museums -- visit their site for more details). 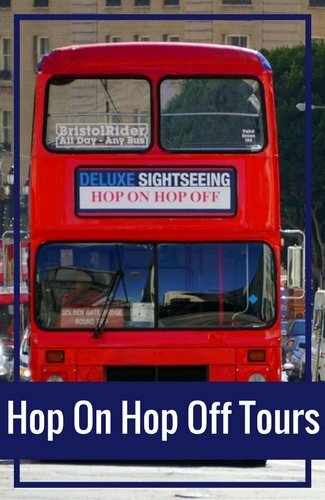 Hop On Hop Off Bus Tour: Another popular and easy option to get around is to take a hop on hop off bus tour. These large open air buses allow you to see the sights as they drive you from one attraction to the next. Each one has almost a dozen stops and many offer a few different routes. Find out more about my favorite option on Viator.com.